Motiv creative director, James McGee, is featured this month in Eagles’ Call Magazine, published by the National Eagle Scout Association (NESA.) 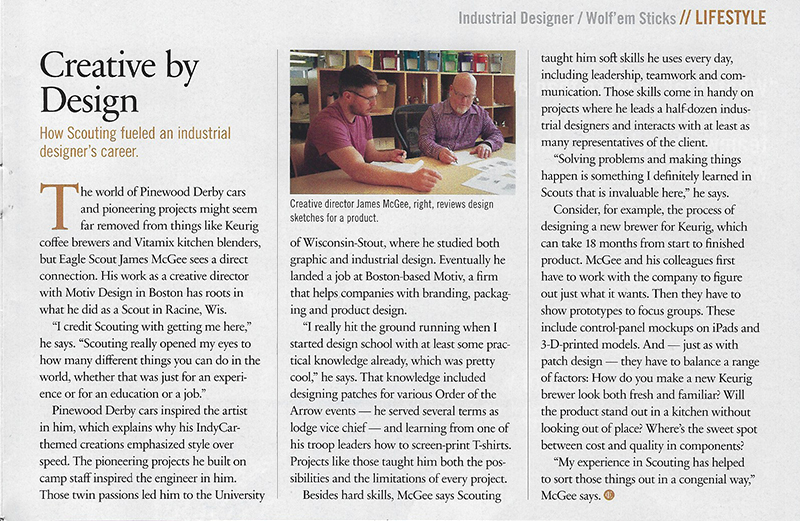 The article describes how James’ interest in product design is rooted in his Scouting experience. In addition to his design talent, Motiv’s clients also benefit from the personal values and leadership training he gained on his path to Eagle Scout rank.